As a parent there are a lot of changes, milestones and exciting moments that change your family life. 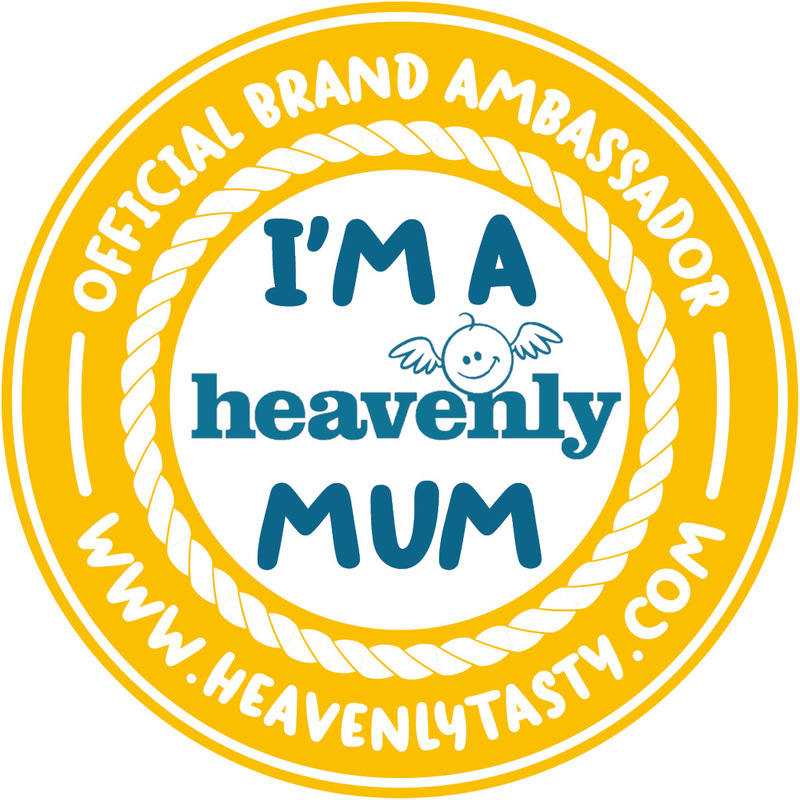 When both Isabella and Poppy were approaching six months and quickly outgrowing their Moses basket I knew we had to make 'the big move' into their own bedroom. It was an anxious time, but luckily it resulted in more sleep for everyone and we really enjoyed creating a peaceful, adaptable space for them to call their own. Planning your child's bedroom is such a fun process, as you consider colour palettes, furniture, storage and where all of their toys are going to go?! 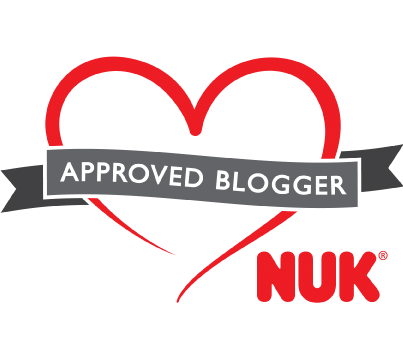 But something that is worth considering during this process is how to futureproof their bedroom, so that you're not having to spend yet more money in only a few years to once again adapt it to their older age. 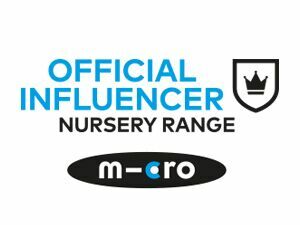 Room to Grow has a wide array of children's bedroom furniture, storage solutions and accessories that work together to help futureproof any little ones bedroom. After being inspired by their website I thought I'd share five ways you can ensure that your child's bedroom will stand the test of time as they grow older. 1) Bunk Beds - This is one for the families with more than one child, as bunk beds can be space saving and last for years. Many of the Children's Bunk Beds from Room to Grow have the ability to split into two single beds, as well as being bunk beds so are as adaptable as your family needs. 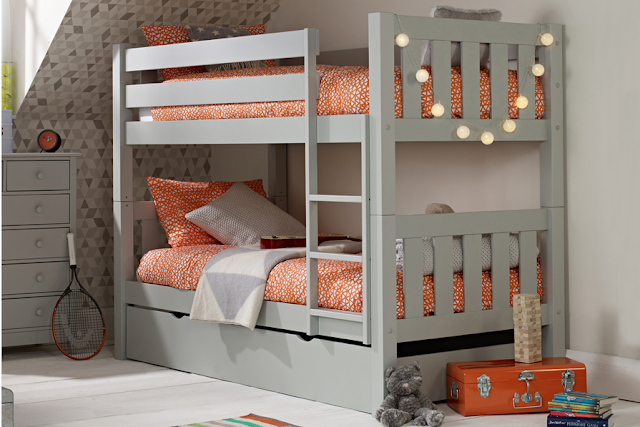 One of my favourite designs from their website is the Jubilee Bunk Beds in Ivory White or Soft Grey because of its stylish yet sturdy design that will withstand life in a child's bedroom. 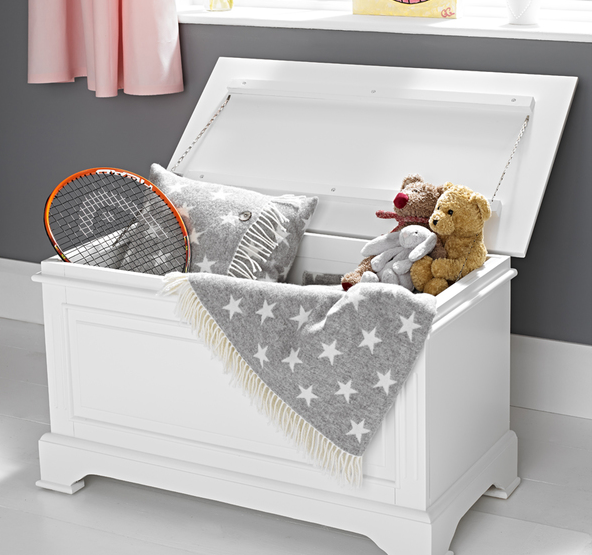 You can also order an underbed storage drawer, so that the valuable space under the bed isn't wasted and we all know that as parents our life long mission is to utilise all areas of storage! 2) Toy Box - Often called a toy box, but they are essentially a storage box that can be used by all ages and for such a range of purposes. I love this piece of furniture for being so long-lasting and multipurpose, which is why we have many of them around our house. They can be used to store toys while your children are young, then easily transformed into a bench with the addition of a throw and some cushions. They are also idea for adults to store bigger items that aren't used as often, such as printers, folders, important documents, photograph albums, keepsakes, books etc. The Grace White Storage Box from Room to Grow has such a classic design making it the ideal addition to any room in your house. 3) Wall Stickers - Wall stickers are an easy way to transform a child's bedroom depending on their current tastes and interests. Wall stickers are surprisingly easy to use and can peel straight off, leaving no damage to your wall. It's the perfect compromise if your child wants a patterned wallpaper, but you worry about how long they'll like it for. By letting them choose their own wall stickers allows them to channel their inner creative side without costing you lots of money to redecorate in a couple of years. 4) Bookcase - This is another multipurpose idea because the humble bookcase doesn't need to just be for books. Although Isabella and Poppy absolutely love reading and books, at their age the books are very thin and therefore don't take up much space. A bookcase is therefore ideal for putting small baskets on and then filling them with toys, as well as decorative items. Small baskets in a bookcase are an easy way to keep their room looking tidy, yet makes it easy for them to access and tidy away. As they grow older the bookcase can start to hold the thicker books, school work etc. 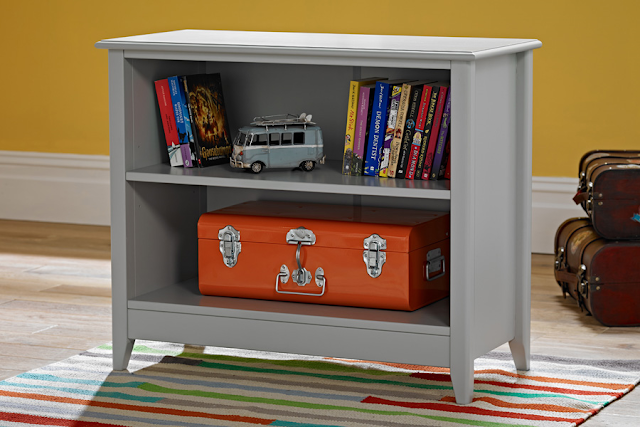 This Jubilee Bookcase in Soft Grey is a stylish option that isn't too large for a child's bedroom. What are your top tips for futureproofing a child's bedroom? I love the toy box idea. We could do with one to put all my kids toys in which my son loves to scatter all over the floor. Bunk beds are an an absolute must - we bought some drawers which had space for toys to double up as a toy box of sorts! I think peg boards are good as you can easily change the pictures as they grow. We have 2 toy boxes in storage and I can't wait to get them out when we get a bigger place. They're so versatile and as you said can be used for storing all manner of things over the years! 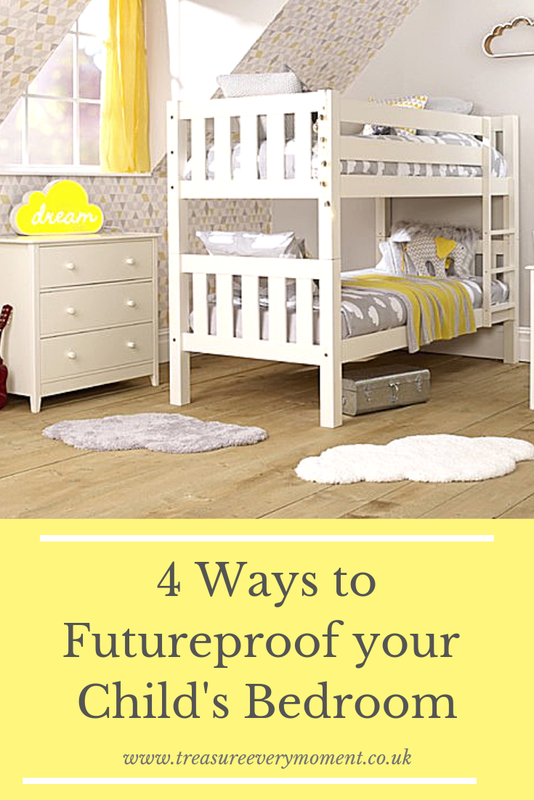 These are great ideas and very timely as we're about to redo our youngest's room! Storage is so important as I hate clutter and mess!! These are great ideas and loving the bunkbeds! Im terrible at future proofing and end up buying things which suit at the time - but won’t last for ages. Those were a lovely ideas. I am actually planning to have my kids room remodel and this such a useful resource. We have bunk beds for my girls which can split as they grow. For now they want to share a room but that may change! Fab decor here. My daughter has beeb asking for a bunk bed. Lovely ideas, I loved my girls toy box when they were little. They would spend hours with their heads in it!! I can't wait to design my child's bedroom. Lots of great ideas. Lots of fun. Great ideas! I love the idea of using removable wall stickers. We'll be able to change our boys room are they grow and have different interests. Much better than wall paper or something like that. Thanks! Toy boxes are always a good idea, we are done walking on all the toys all over the house.